As partners in stimulating entrepreneurship and innovation, the Founder Institute and the Center for Advancing Innovation announce the launch of fourteen new startups from the Founder Institute’s Washington DC Metro Chapter (FI-DC). The Washington DC chapter has exceeded expectations, and we’re anticipating some great companies to come out of this and future cohorts. 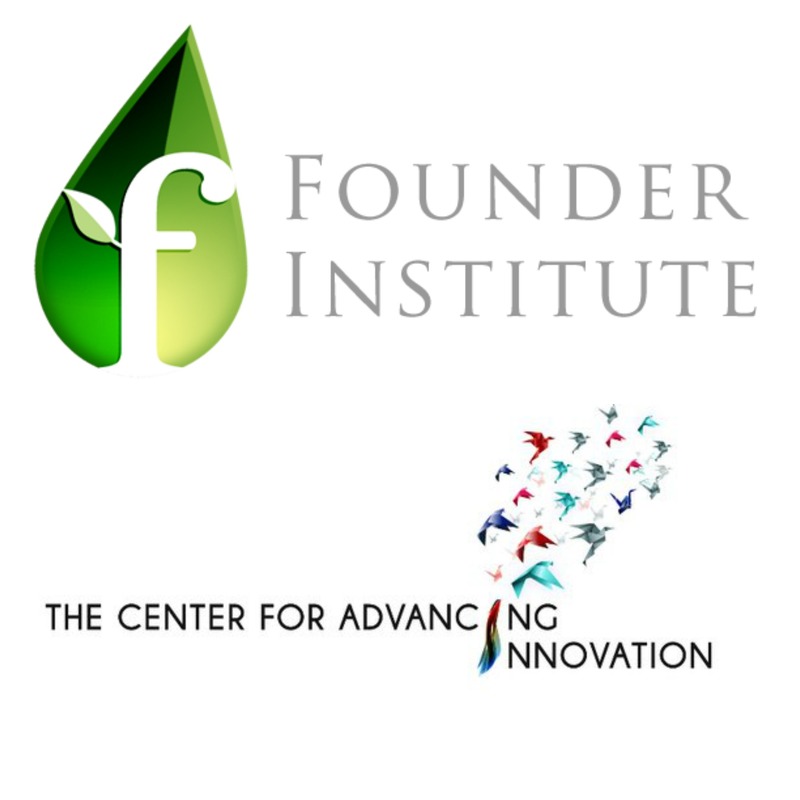 As partners in stimulating entrepreneurship and innovation, the Founder Institute and the Center for Advancing Innovation announce the launch of fourteen new startups from the Founder Institute’s Washington DC Metro Chapter (FI-DC). Recently, the Washington Post wrote about the need to amplify entrepreneurial ecosystems in the MD-VA-DC area. With its inaugural class, FI-DC addresses this need and provides critical resources for burgeoning startups in the region. The Center for Advancing Innovation (CAI) has the world’s largest challenge accelerator model to commercialize promising inventions out of the federal labs. CAI challenges engage nearly 1000 people in more than 100 cities per year. The Silicon Valley-based Founder Institute is the world’s largest startup launch program for talented entrepreneurs. With over 2,000 graduates worldwide, the Founder Institute has chapters in 135 cities throughout the world. The FI-DC chapter is directed by Rosemarie Truman, Founder and Chief Executive Officer of the Center for Advancing Innovation, and Co-Director, Tyrone Taylor, President of Capital Advisors on Technology. FI-DC’s inaugural class invested the last four months in a rigorous curriculum of weekly training courses and homework assignments, structured and customized to build enduring companies with strong foundations. FI-DC launched 14 breakthrough startups, which placed this chapter in the top 5% of FI’s largest graduating class size worldwide. The 14 newly founded companies range from apps-based to product-based and cover topics in healthcare, travel, business, real estate, engagement/relationship, and career management. Each new company, although unique, shares a common interest in amplifying human health, performance, and livelihood. 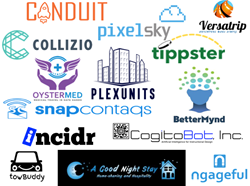 A Good Night Stay, Inc.
A Good Night Stay is a travel app that combines home sharing with hospitality and tourism with a mission to make the travelers experience the most fun and safe in the world. BetterMynd is a high-tech healthcare platform that enables college students and college counseling centers to engage in teletherapy. Canduit is a personalized career development platform that curates jobs, training, and learning programs, which are directly aligned with users (professionals). CogitoBot, Inc. aims to make an add-on application for learning management systems (or LMS's) that will help CPA candidates prepare for their licensing exams. The Collizio events platform helps attendees, speakers, sponsors, and exhibitors decide which conferences to attend using aggregated user reviews and ratings data. Collizio also uses data and traffic to help conference organizers sell more tickets and gain important insights to improve their events. Desidar.io has developed a road trip mobile app, called Versatrip, which helps users to go on road trips with or without planning. INCIDR helps salespeople navigate and land meetings with decision makers. Ngageful offers feedback solutions that provide instant real-time feedback data about how employees are experiencing work environments and how satisfied they are with employers. OysterMed is a medical travel company whose mission is to deliver the global medical industry to U.S. consumers. Pixel Sky's Sun Glare Shield is a hands-free and automated window tinting technology that provides safety and comfort to vehicle passengers in low sun driving conditions. PlexUnits is a real estate investing and management company that funds, builds, and manages rental units within their clients’ homes. SnapContaqs helps professionals and business owners form business relationships by creating matches based on relevant interest and automating follow-up processes. Tippster allows business travelers to tip service workers instantly and securely through their phone, saving time for them and saving time and money for their companies. towBuddy is a crowdsourcing platform, which aids college students, travelers, and drivers by minimizing their risk of being towed and receiving parking tickets. For more information, please visit: http://www.thecenterforadvancinginnovation.org/fidc.html. The Founder Institute (http://fi.co) is the world's largest entrepreneur training and startup launch program, helping aspiring founders across the globe build enduring technology companies. In the Founder Institute's four-month, part-time program, promising startup entrepreneurs "learn by doing" and launch a company through structured training courses, practical business-building assignments, and expert feedback. Plus, aspiring founders are not required to quit their day job to participate, so they can test their business ideas and start building a company without putting their livelihood at risk. Based in Silicon Valley and with chapters across 135 cities and 60 countries, the Founder Institute has helped launch over 2,002 companies, which have created over 10,000+ new jobs. The company's mission is to "Globalize Silicon Valley" and build sustainable startup ecosystems that will create one million new jobs worldwide. The Founder Institute was founded in 2009 by Adeo Ressi, a serial entrepreneur. It operates out of Palo Alto, California.